Eliza Helyar, the wife of Alexander Edward Butler was born in Yeovil, Somerset, England, 27 October 1830. What follows is something of the Helyar family story gathered from various sources, specifically Valda Strauss and Jennifer Helyar. They have told the story in more detail in their own publications. Valda Strauss has done a great deal of work on the Helyar story, including primary research in England. It was Valda who responded to my request in the Melbourne Age for information about some of the Butler family, beginning a warm friendship over many years. Jennifer Helyar wrote an account of the Helyar story: Helyar – An Australian Family’s Story (updated 2004). Her account has much more information about the Helyar connections in England than I have included here. She has also produced a very detailed family tree from our earliest certainly known Helyar ancestors, John and Elizabeth Helyar. The name Helyar is common in the Yeovil area, Helier, Helyer, Hellier, Helyar and variations, being derived from the Anglo-Saxon helian, to heal over, and so the word came to refer to roof-coverers, such as tilers and thatchers. The famous Wat Tyler was sometimes known as Gualterus (ie, Walter) Helier. Some Helyars in that part of the world were very wealthy – however, Eliza’s family were not among them. The name Helyar is not only common but also prominent in this area of Somerset. At East Coker, just south of Yeovil, there is a beautiful Tudor home, Coker Court, owned by the Helyar family for over 600 years, the family being described in Burke’s Landed Gentry as dating back to as early as 1345. The mansion still stands, though it was sold after the last Helyar died in the 1940s. While Elias Helyar and his son George spoke of the Helyars of Coker Court as family connections, the link is very unlikely to be authenticated. George’s daughter Evelyn visited East Coker in 1935 and though she was met initially without much enthusiasm, the incumbents believing she was making some sort of family claim, the visit ended cordially. The research of Valda Strauss among the Coker Court family tree and wills establishes no connection – in fact, a number of Helyars at East Coker were not wealthy, some requiring charity burials. Little is known of the early history of Elias Helyar, Eliza’s father, the first of my known Helyar ancestors. He was born l May 1804 near Yeovil, Somerset, England. His parents were John and Elizabeth Helyar, John being employed as a shoemaker and cordwainer. On Christmas Day, 25 December 1826, Elias Helyar married Martha Doling. Martha Doling was born 4 May 1805, to Joseph Doling and Elizabeth Parker, who themselves were married in Netherby, Dorset, 15 January 1801. They lived in nearby Mapperton – Mapperton folk often being married and buried in Netherby. Elias and Martha’s first child, Joseph, died in infancy. The next four, George born 28 November 1828, Eliza 27 October 1830, Emily 29 December 1832, and Mary Amelia 3 April 1834, were born at Vicarage Street, Yeovil. 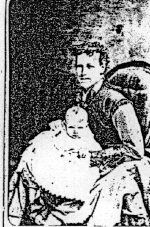 Two more boys, both named Joseph, survived less than a year: the first, born 19 March 1837, died a few days later, 26 March; the other, born 6 May 1838, survived eleven months, dying 15 March 1839. On 2 October 1839 Martha was delivered of twin girls, Martha and Ellen. In 1840, Elias and his family migrated to Melbourne as Bounty Passengers, imported by John Marshall of London. They sailed, 21 September 1840, from Plymouth on the Ferguson of 600 tons among 229 passengers. On the voyage the women registered an official complaint against the medical superintendent’s “harsh and unjustifiable” treatment of women on board. Sadly Martha and one of her little twin daughters, also Martha, both died on board and were buried at sea. No date is given. Mary Amelia used to talk to her children of her mother and the baby who died on board and were “wrapped in tarpaulin and buried at sea.”. Martha’s twin, Ellen, the only one of the family whose passage the family had to pay for, survived only a little longer, in spite of the efforts of her now widowed father, her eleven year old brother and the three little girls, to help her through: she died, aged 18 months, 27 April 1841, tragically choking, the family story tells, on a piece of roast lamb. She was buried from the Independent Church, Collins Street, Melbourne. The ship arrived in Melbourne, 15 January 1841, and the family settled there for some years. In the early 1850s they moved to Mount Pleasant, Ballarat, where Elias became a storekeeper, assisted by George who had earlier been employed by a Melbourne butcher. They were also gold-buyers, carting the gold from the mines to Melbourne by horse and dray. On one occasion George had to cross a swollen creek and midstream the horse had to swim. Realising the horse would not make the other side, George was forced to cut the traces. He and the horse swam to safety – the fate of the gold is not recorded. Elias, the father, contracted cancer around 1870 and spent some time in the Geelong Hospital. His daughter Eliza (my great grandmother) was taking him back to Melbourne, when he suffered a massive heart attack on Geelong railway station and died, 7 September 1870, at the age of sixty-six. 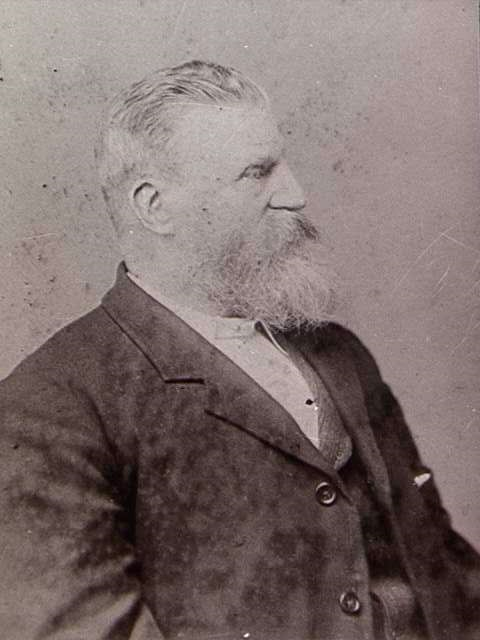 His son-in-law, Alexander Butler, whose address was given as Richmond, seems to have made the necessary arrangements and Elias Helyar was laid to rest in the Geelong cemetery assisted by Rev. G. Slade, a Baptist minister. On 19 July 1855, George married Charlotte Ann Hockey in St Paul’s Church of England, Geelong; and in 1859 the family moved from Ballarat to Jan Juc, to a farm ten miles west of Torquay, between the Great Ocean Road and Jan Juc Creek. The next door farm was owned by Alexander Edward Butler who had married the eldest Helyar girl, Eliza, 8 April 1852 in Melbourne. Eliza died in Marrickville, Sydney, 7 September 1917. 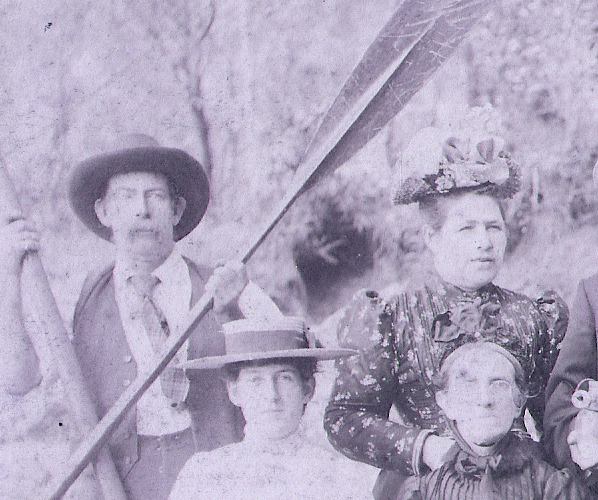 In 1875 George bought a farm at Kewell in the Wimmera, he and Charlotte having produced nine children by this time. In 1886 they moved to Dunmunkle near Minyop. There were ultimately fifteen children, eight boys and seven girls. There are many Helyar descendants living in Australia, a number of them becoming teachers or missionaries. 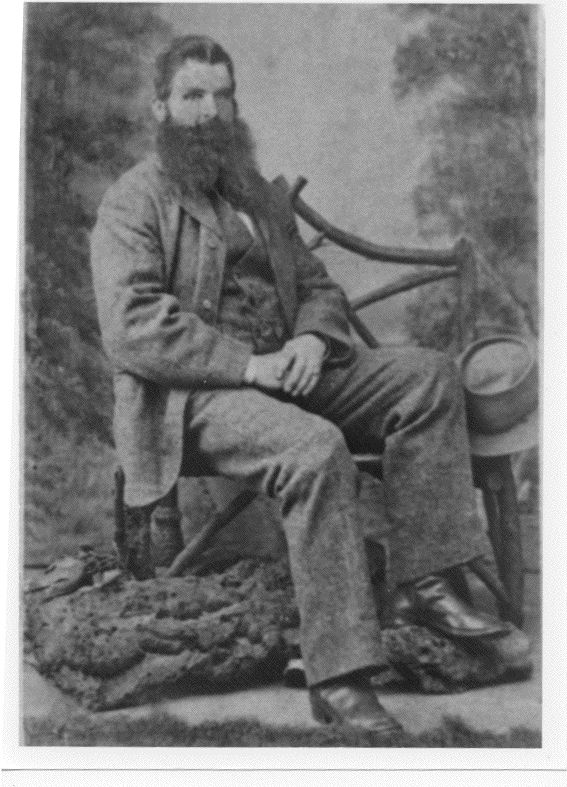 Of George Helyar’s family, William moved to Western Australia; James worked in Melbourne and went to New Zealand; Henry went to West Wyalong in NSW and opened a store; Charles owned a grain store in Rainbow, Victoria, and many of his descendants still live in the district; Evelyn became a school teacher; and Laura, the only one of the girls to marry, became Mrs Austin Barnes in 1901: they lived in Rainbow and in 1971 celebrated their seventieth wedding anniversary. 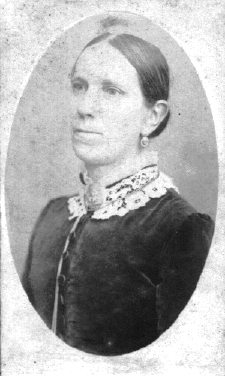 Annie (Eliza Ann), engaged to be married, died of diphtheria, 20 December 1896. Nell (Ellen Charlotte) and Evelyn both died on the same night in September 1953. In May 2011 I had some communication from Jennifer Helyar which helped me make some corrections to my text as well as adding more information about the Helyars. Jennifer is a descendant of George Helyar and Charlotte Ann Hockey. George Helyar was the second son of Elias Helyar and Martha Doling (the first child Joseph died in infancy in Yeovil). He married Charlotte Hockey in 1855 in Geelong, Victoria. 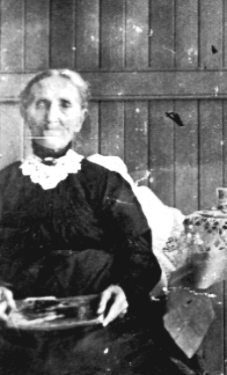 Charlotte was born 19 October 1840 in Shepton Mallet, Somerset. Their thirteenth child Frederic was born 15 March 1878, married Katherine Cornell 1 September 1908 and died in Condobolin, 21 August 1955. Their fourth son, Laurence George, was born in Melbourne 9 March 1915; he married Mary Fletcher (born 23 February 1926) in Brisbane, 9 July 1955. Jennifer, born in Sydney, 12 October 1957, is one of Frederic and Katherine’s children. George Helyar, living in Grange Road, Caulfield, in his later years, was a small, autocratic man who in his old age lost his sense of direction. He insisted on walking alone, would allow no one to accompany him and could not be told. His daughter Nell would follow him at a discreet distance till he became tired and lost; she would then catch up, take his arm and guide him home. He died 30 July 1915, aged eighty-six. His wife Charlotte, lived on another ten years at Shepparton Avenue, Carnegie, looked after by her daughters Nell and Evelyn. After their mother’s death they lived at Martin Avenue, Bellgrave where they died in 1953. Emily Helyar married George Sweetland. George, a baker and fruiterer, was born in London in 1826, emigrating to Australia in 1849 with a brother and two sisters. He was the second son of Stephen Hoyman Sweetland, born Sydmouth (England) 2 December 1792 and became a baker in Bunhill Fields, London. He married Elizabeth Frost in 1817. George died 24 June 190- in Fitzroy. One of his descendants, Robyn Fisher, has made contact with me. 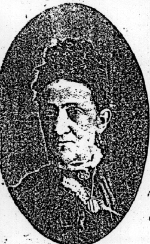 Her details are as follows: George Sweetland (1826-1904) married Emily Helyar (1832-1897); – their son, William Sweetland (1860-1935) married Mary (Polly) Williams (1858-1935); – their daughter, Ivy Sweetland (1885-1943) married Thomas Fisher (1887-1941); – their son John Francis Raven Fisher (1919-2003) married Joan Foster Miller (1920-1995); – their son, Dr Thomas Raven Fisher (1953-) married Robyn Anne Ellis (1956-). Mary Amelia Helyar, the youngest of Elias and Martha’s daughters to survive, married Mark Halkyard, 22 May 1858 in Melbourne. He was born 9 February 1825, in Oldham, Lancashire. He was a teacher and taught prisoners to read and write, holding his classes in an old bluestone building at the back of Lee Street State School, North Carlton, Victoria. From 1859 Mark was teaching at Modewarre where their four sons were born and where Mary Amelia taught sewing to the schoolgirls while her infant son slept in the corner. They had four boys: Frederick, Charles, Albert and Arthur born between 1859 and 1867. 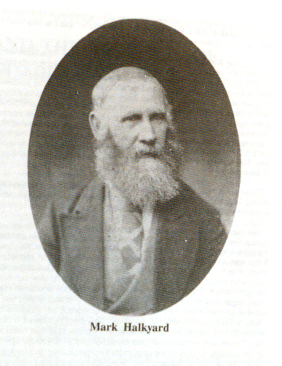 Mark must have returned to England because in 1869 he became the first Head Teacher at Wensleydale Common School and at Skipton from 1877 ill his death in 1882. Mary Amelia spent her last years in Nicholson Street, North Fitzroy where son Albert had a furniture shop. 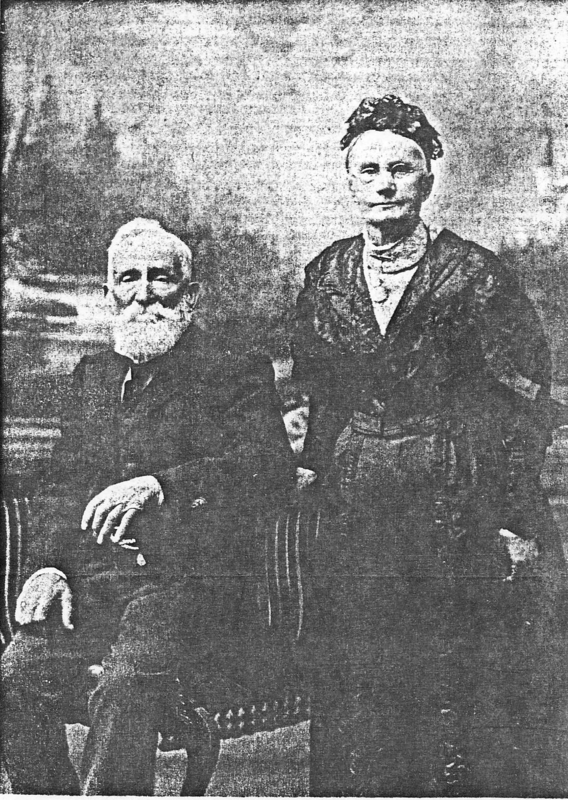 Albert married Annie Rice. Their daughter Millicent married John Mooney and they had seven children, Valda, born 1925, being the fourth child. She married George Strauss. George was born in Vienna, 23 December 1923. At this time of writing, Valda and George have moved from Sassafrass, near Kalista, to a retirement home in Viewbank, Victoria. Thorough researches by several of the Helyar family have failed to discover with any certainty the ancestry of John Helyar, the shoemaker and cordwainer, whose son Elias came to Australia in 1840 with his wife Martha. They had already lost one son whom they had named Joseph. Two other boys, both named Joseph, were to die in Yeovil in their infancy (aged seven days and eleven months). On the voyage Martha and one of their baby twin daughters, also named Martha, both died and were buried at sea. The other twin, Ellen, died aged 18 months, choking on a piece of roast lamb, thoughtfully given to her by a kindly brother. This family certainly knew the bitter taste of tragedy. To Elias’s credit, the family went on to produce many children and descendants who have prospered greatly in the land of Elias’s choice. This snippet is found among the papers of the “grand” Helyar family of Somerset. This kind of story of connections between grand fold and simple folk is common. Thomas Hardy’s novel Tess of the D’Urbervilles turns on this supposed connection. It is very likely that the Dedicoat/Derecourt connection to be found in another chapter of this history has a similar background. This information is by courtesy of Valda Strauss whose great grandmother, Mary Amelia Helyar, was a younger sister of my great grandmother, Eliza Helyar. Valda has researched the Helyar family from the English records, including the Somerset Records Office, Taunton. In her search of the East Coker parish register she found material possibly useful in establishing Elias Helyar’s background but so faint as to be illegible. I have not included her various suggestions in this chapter. A maker of soft leather shoes and luxury footwear. His story can be found on the website What The Butler Did in the chapter Alexander Edward Butler: Secretary and Treasurer. As I had written in an earlier version of this history. “The story of two pioneering women who became heroes of their day. 1940s Australian rural and city culture comes to life through the unforgettable experiences of the courageous Methodist Deaconess Nursing Sisters in Angels of Augustus. In 1946, Marjorie Wilkinson and Ethel Helyar arrived in the Australian outback town of Brewarrina with nothing but their district bags, authority to perform marriages, baptisms and burials – a rarity for women of the era – and an ambulance named Augustus.” Information from website. Email communication 21 May 2011. This information about Mark Halkyard is from Jennifer Helyar op. cit.